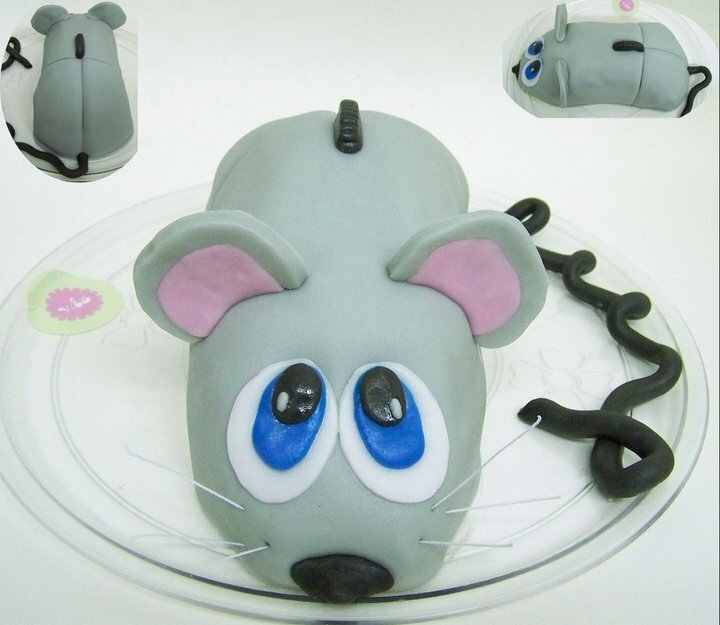 I was asked to make a computer mouse cake for a computer geek. It seemed to plain and boring alone, I had to give it life and so added the animal mouse features. It turned out pretty cute..